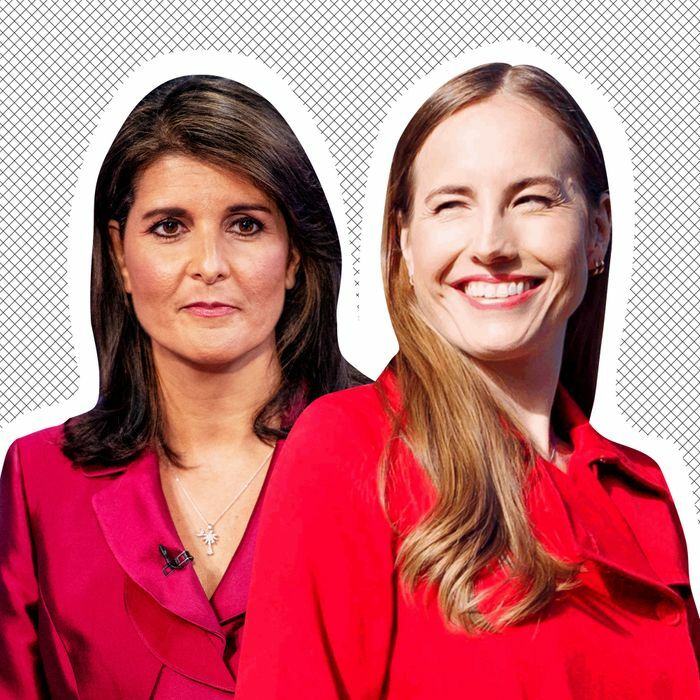 Nikki Haley, Anu Partanen. Photo: Getty Images, Kristiina Wilson. The same day that Finland was named the world’s happiest country, they also became the focal point of a debate about their robust, publicly funded health-care system. Plenty of Finns took this as an invitation to tell Haley that they did, in fact, enjoy their health care, and her comments immediately made me think of a book I read a few years back called The Nordic Theory of Everything: In Search of a Better Life. 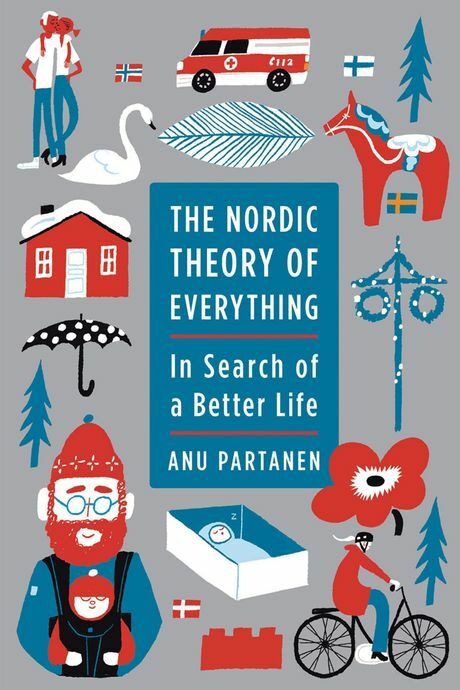 In it, Finnish journalist Anu Partanen writes about moving to America and struggling to navigate numerous perplexing cultural differences — the most striking of which was our labyrinthine, exorbitantly priced, and fundamentally broken health-care system. So I called up Partanen, who’s since moved back to Finland, to talk about the realities of Finnish health care, what it’s like to give birth there, and what Finns make of Haley’s recent comments. Right off the bat, what did Haley get wrong in her tweet? There are so many ironies there. First of all, I don’t know if she actually thought that Bernie Sanders had meant that Finland only spends $60 per woman. What he is saying is correct that for the person giving birth, when they go to the hospital, they only pay some $60 per night. So it’s not that Finland only spends $60 per night. So that just seemed really strange, if she actually did not understand that or was she purposefully misleading. That just seemed weird for somebody who’s been a U.N. ambassador. It’s also extremely ironic that she would make that comment in relation to childbirth because that is exactly the area where Finland and all of Nordic countries really excel. I mean, if you ask any Finn the one part of the health-care system that they are all really happy with is the prenatal care that is free for the user. You don’t have to pay anything, and typically people are very happy with the care they get while giving birth and you just pay a minimal co-pay for the hospital stay. Also, the American maternal-mortality rates and infant-mortality rates are sort of shockingly high for the wealthiest country in the world, practically. On the other hand, Finland does, in those areas, particularly well — Finnish rates are among the lowest in the world. I know you recently had a baby — did you give birth to your child in Finland or the U.S.? In the U.S. — not the smartest move! Our child was 1 when we moved to Finland. So I had the experience of having a child with American health care, and, now we are seeing Finnish doctors and pediatricians and so on. Can you walk me through what the process was like having the child here, and what it cost you, versus what the process would have been like had you had your child in Finland? Overall the care that I got in America was perfectly fine — my obstetrician was great, and all the nurses were really nice. We were freelancers, my husband and I, and then partway through, my husband got a job with health insurance, so we had sort of both experiences. But we were on the Obamacare plan when I got pregnant. So we immediately kind of had to — well, we employed a health-insurance broker, which to me was already kind of crazy, like what is this? He advised us that we had to move to a higher-premium plan, so that if you have complications when you give birth and so on and so on, you don’t end up with a huge bill. We really paid a lot, and it just seemed insanely expensive. It was very bare bones, my experience giving birth in America, even though we paid quite a bit for it. It was really hard to keep track of. And it was very stressful. And of course then we worried about what if something goes wrong when I’m giving birth. And that would be terrible of course for all the reasons, but also terrifying for bills. But everything went fine. But it was just very expensive and complicated and a lot of time spent on figuring out doctors, and exams, and expenses. In Finland, I would have gone to the government-provided maternity clinic, where most of the time you actually see a midwife-nurse. If you don’t have a high-risk pregnancy, you don’t necessarily need to be checked out by a doctor all the time. The nurses do a fine job. So I would have gone there, and I wouldn’t have paid anything. And then when you go and give birth, there’s family rooms in Finnish hospitals that you can book, and then you pay a little bit more, but the cost is still minimal — like a few hundred dollars for a family room. Compared to America, where we also ended up getting a “family room,” but it still makes me laugh because we paid extra for it, and it was this tiny jail cell-like room, in which I had a bed, and my husband had sort of a reclining chair. There wasn’t even another bed! Whereas when you go to one in Finland, it’s like an actual queen-size bed, and so on. It was very bare bones, my experience giving birth in America, even though we paid quite a bit for it. I didn’t have any problems with the care itself. And you get the baby box afterward in Finland, right? My Finnish friends somehow did manage to get one and ship it to me, to the United States. I got it before the baby was born, and I just basically started crying when I was looking through it. It was emotional for me, because it’s a real institution in Finland. And all the stuff in it is really nice! It’s very cute and colorful and nice. Can you walk us through what’s in there? It’s this big box that works as a bed. So there’s a little mattress on the bottom, so you could use it as a crib for the baby in the beginning. And it just has clothes, all kinds of clothes. It has bibs, and a thermometer, and it had cloth diapers, and it just has a bunch of baby equipment. I posted a photo of it on my Instagram when I got it at the time. There’s a snowsuit, and, you know, mittens, outdoor wear. You can get by a pretty long time with that stuff. Of course people buy their own clothes and get gifts and all that in Finland too, but it’s a really good start-up box for having a baby when you don’t really know what you need. And this is all free? It’s all free, yeah. It’s taxpayer-funded. You pick it up basically, everybody who is pregnant and a resident of Finland gets one. I know you went into this in your book quite a bit, but if you had to sum up, what was your biggest culture shock when it came to the health care when you moved here, to the U.S.? People find it just shocking — the idea that everybody doesn’t automatically have the right to health care, and that health-care bills can bankrupt you. I just did taxes, so I was reminded of how much I pay every year. And there’s this frustration that it’s not going into the public good or toward my health care. There is this idea that in Nordic countries, you’re paying most of your salary toward taxes, but I remember in your New York Times health-care op-ed, you said your taxes are right around what you were paying when you lived in New York, right? Yeah, I mean, of course it depends. In Finland, wealthy people do pay more in income taxes than they do in the United States. But for somebody with a fairly average wage, who lives in a place like New York City — I had to do my taxes for Finland and the U.S. for three years in a row, and the tax bill was pretty much about the same. It was also because I was self-employed and I had self-employment tax, which is 15 percent. So I think for somebody who makes fairly average wages, the difference is not huge. And in Finland, so much is included already in your taxes. I also had that experience in the United States, that I started kind of loathing paying my taxes, which I never did in Finland. Because I just felt like I’m paying all of this money in the U.S., and what am I getting in return? And on top of that I’m paying for my health care, and if I have a child for day care, and all that. Whereas at least in Finland, it was so clear what I’m paying for. So what exactly is the impression of American health care in Finland? I think people find it just shocking — the idea that everybody doesn’t automatically have the right to health care, and that health-care bills can bankrupt you. I think for a lot of people it’s just very hard to wrap their mind around that because we’re just so used to it. So what the United States is doing is just very strange and odd and cruel.